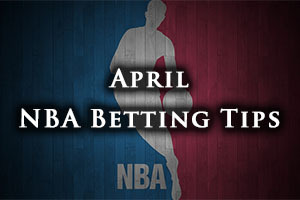 If you are looking to bet on the NBA regular season, you have today and tomorrow, and then that is it, we are in the playoff part of the season. There were a number of big games last night, and it may be that your favourite team had their hopes dashes or confirmed! The Rockets grabbed a big win in Charlotte, defeating the Hornets by a score of 90-100 and the Cavaliers won at home to the Pistons by a score of 109-97. The Nets slumped at home to the Bulls, the Chicago side winning 86-113 and the Thunder defeated the Trail Blazers by a score of 101-90. The jazz won at home, defeating the Mavericks by a score of 109-92 and the Clippers defeated the Nuggets in Los Angeles by a score of 110-103. The 76ers lost at home, the Bucks winning 97-107 and the Heat held on to defeat the Magic by a score of 100-93 in Miami. The Knicks were winner winners in Atlanta, downing the Hawks by a score of 108-112. The Timberwolves were trounced at home, losing 88-100 to the Pelicans and the Kings beat the Lakers by a score of 102-92. The Warriors defeated the Grizzlies, winning by 111-107. It seemed extremely unlikely two or three months back, especially when Rajon Rondo made his way out of the club but the Boston Celtics are on their way to the playoffs. This was confirmed on Monday night when Brooklyn fell 113-86 to Chicago. A 22-12 run has moved the Celtics into 7th place in the Eastern Conference and they will probably be looking to build on this momentum against the Raptors. You can never tell how teams will react to qualifying for the post-season but with the final regular season games being so close, there is a lot to be said for keeping the momentum and energy high. If the Boston side remains in 7th place, they will take on the Cavs who they have performed very well against in the past week, on two occasions. However, these were games when the Cavs took the opportunity to rest big names and they were not fully focused. The playoffs will represent a completely different challenge for the Celtics. The Raptors are just a half game behind the Bulls for the number 3 seed and they are assured of home-court advantage in the first round. This was achieved on Saturday, as was equalling last season’s franchise record for wins, in the 107-104 win against the Heat. The Raptors are currently 6 from 8 but they did lose to the Celtics 116-117 back in early February when Marcus Smart beat the buzzer to seal the victory. The Raptors have a 48-32 record so far this season, including a 22-18 record on the road, and they have a 6-4 record in their last 10 games. The Celtics hold a 38-42 record, including a 20-20 record at home and in their last 10 games, the Celtics are 7-3. With respect to points for, the Raptors lead 104.3 to 101.4 and for points against, the Raptors lead narrowly 101.2 to 101.3. Taking the Raptors with a -4 handicap, and odds of 1.90, should be a decent bet for Tuesday. Bet Now! While the Pacers are not in control of their playoff destiny, they are looking to make their fifth playoff in a row and have bene getting some good results even though it has been a tough spell for the club. The Wizards are there and all but know what their task is, but they seem determined to head into the playoffs on a high. The Pacers will be looking for their sixth win in a row, and they are currently one game behind the Celtics. The thing is though, the Celtics have the better tiebreaker record and the Pacers instead need to focus on beating the record of the Nets. The Wizards moved beyond 45 wins for the season for the first time since 1979 and although the team has been slumping in recent months, five wins out of 6 indicates that they are heading back on track. The Wizards are 46-34 for the campaign so far and this includes a 17-22 record on the road. In the last 10 games, the Wizards are currently at 6-4. The Pacers are sitting at 37-43, which includes a 22-18 record at home. In their last 10 outings, the Pacers are 7-3. The Wizards lead on points for with 98.5 to 97.5 and for points against, the Pacers lead 97.1 to 97.6. 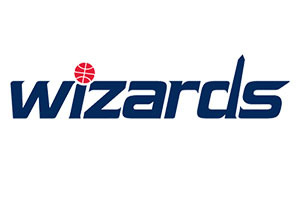 There is a lot more at stake for the Pacers, so they should have the bigger will to win, but the Wizards are on a good run of form so taking the Washington Wizards at +7, at odds of 1.90, is a good looking bet for Tuesday. Bet Now! The Clippers know that they will have home-court advantage in the playoffs and the Suns know that their dire end to the season has put paid to any such dreams. The Los Angeles side grabbed their 6th win in a row and their 13th win in 14 games on Monday night, beating Denver 110-103, and this sees them in a tie with Houston and San Antonio for second place. They are also one game ahead of the Grizzlies after the Memphis side lost out to the Golden State Warriors. A win in this game sees the Clippers taking number three spot and they could take second place if the Spurs and Rockets lose. If that happens, they will take on Dallas. If the Clippers lose, there is a chance they could fall to 5th place in the West, but if this happens, they will receive home court advantage over Portland. The Clippers hold a 55-26 record, which includes a 25-15 record on the road and the Los Angeles side are in a rich vein of form, as their 9-1 record in their last 10 games indicates. The Suns are currently 39-42 for the season, including a 22-18 record at home. Their last 10 game record is abysmal, standing at 1-9. With respect to points scored, the Clippers lead the average 106.7 to 102.4 and for average points against, the Clippers lead 100.1 to 103.2.